Talisman Of El tells the story of 14 year old orphan Charlie Blake who, after managing to settle into his new home and new life with Jacob, discovers that his new father figure isn’t quite as he first appeared. Charlie has always experienced strange and vivid dreams which turn out to not be dreams at all but rather visions of the past. Through this Charlie finds himself thrown into a situation that sees the fate of the world lie within his hands as he sets off on and adventure to find Arcadia; a world housed within the centre of the Earth. The first problem for me was the fact that I found it difficult to invest in both Charlie and the supporting characters. Although I didn’t necessarily dislike them, in particular Charlie and Alex, I still wasn’t strongly routing for them to succeed. There was also a third member of the group, a younger boy named Richmond, creating the classic YA/teen trio that can be found in a lot of books of this genre (due to the ages and some personality traits this trio reminded me most of Unwind’s protagonists). Sadly Richmond felt like an unnecessary addition to the story as overall he didn’t end up playing a huge part or bringing much value throughout the group’s adventure. When it comes to creating a strong trio I definitely felt that Derekin, a man from Charlie’s visions who is aging at an extremely fast pace, was a much more interesting and important part of the group who also provided more of an insight into Charlie’s character through their interactions. Aside from Derekin and the trio there are a few other notable characters introduced when the story moves to the setting of Arcadia. Here we meet a whole host of other characters most of whom also felt fairly two-dimensional and underdeveloped. The fact that we don’t get to know the characters in much depth is understandable for a book of this length and is perhaps something that will be explored in the next instalment however I found myself getting a little confused by all of the new additions who’s names I can’t even remember a week after finishing the book. The world of Arcadia itself could also be considered an important character within the story and I have to say Stone has managed to create a rather intriguing place here which I can see younger readers instantly falling in love with. The prologue itself was fairly intriguing and had a lot of potential so I expected to find interesting characters and a whole lot of adventure but overall I felt that Talisman didn’t quite fulfil it’s potential. Having said that I can certainly see why others would enjoy it but unfortunately Talisman just wasn’t for me. I think its also worth noting that although in some cases it has been labelled as YA I would definitely class Talisman as a Middle Grade read and would recommend it as a good adventure tale and perhaps introduction to the Fantasy genre for younger readers. This post was written by regular reviewer Erin, get to know her here. Jack the Ripper is on the loose on the streets of London, murdering the innocent and terrifying the nation. But this isn’t England in the 1800’s anymore…nope this is the 21st Century and new spree of serial murders are terrorising modern day London. Enter Rory Deveux. A teenage year old girl from Louisiana, whose moved here and due to start Wexford, a prep school in London. Her arrival coincides with the first of the ‘Ripper’ murders, all of which are mimicking the infamous serial killer from centuries past. Not that she’s supposed to be worrying about that, she has to stumble her way through British life, mountains of schoolwork, boy trouble and hellish Hockey P.E. sessions. But Rory is soon forced to care as the police force struggle to piece together serial murders with no other witnesses, evidence or leads…except for the fact that Rory saw a man that no one else could see, who’s now the prime suspect who’s being hailed the new Jack the Ripper. As the only eye witness Rory’s seemingly quiet life is thrown into the world of the paranormal, near death experiences and secret police force with some unique talents. 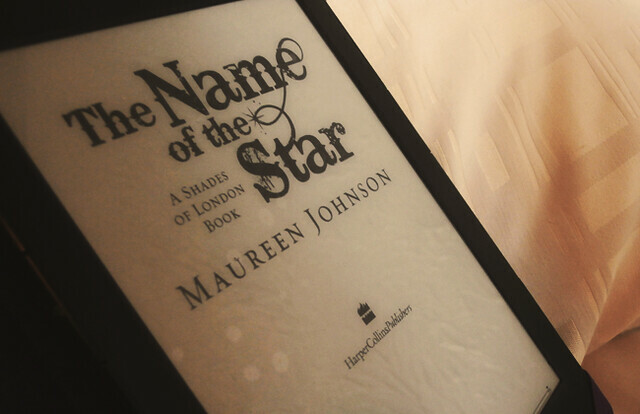 Having gone into this novel without the knowledge it was a ghost story and knowing that Maureen Johnson’s style was geared towards teen coming-of-age novels, I can safely say this book surprised me at every turn. First of all, the premise of the book itself was brilliant. 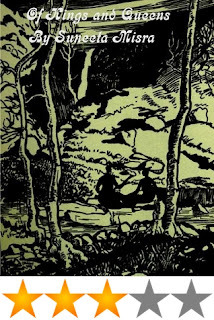 The humble ghost story is one we’ve seen countless times before, but Johnson manages to create a fantasy lore that’s both honest and believable. As Jack the Ripper 2.0 stalks the streets the setting only aides the tension throughout the story. The grey skies of London, cobbled streets and aesthetic of the ‘old City’ lends to the Gothic tone, but kept alongside Rory’s narrative the traditional ghost story is fast forwarded into the present day. …it’s a series! The sequel The Madness Underneath is already out and book #3 The Shadow Cabinet is set for release at the end of the year (so far away, wah! ), so get reading! 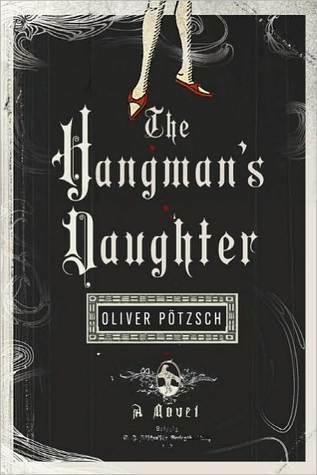 The Hangman's Daughter | Oliver Pötzch | Reviewed by Lucy. Jakob Kuisl is the hangman of a small town called Schongau in Germany. The year is 1660, the era where women are accused for witchcraft and are executed as such. One day a boy is found drowned in a river with a very crude and confusing tattoo etched onto his skin. The town believes that again this is the workings of a witch and they arrest a woman who is likely to have done this crime. But more children are dying and the woman is behind bars. As the town quickly descends into chaos, Jakob Kuisl is chosen to decide who is really doing this. But he's not doing it alone. Bringing with him Simon, a young university educated son of a physician and his daughter Magdelena, they work together to try and reason who is responsible for these deaths. At a glance it's a thriller, filled with totally scary moments and scenes which are completely spine chilling, but at the heart of it, it's also a love story. What is also really interesting is that this is based on real life events. The story itself is fictional but there really was a Jakob Kuisl who was the town's local executioner at the time. This means that he would have been hanging "witches". Only, his name was Fritz Kuisl, instead of Jakob. Fritz is actually one of Oliver Pötzch's ancestors and it is through some digging through his own history which Oliver has been able to make this book which I think is really amazing. So what did I really think? I really enjoyed this story. As with any other story, I generally see what the first fifty pages of a book is like and if it is good, then I will finish the book. With The Hangman's Daughter, I bent the rules slightly. At the beginning, the writing was quite slow for me to read. There was so much description that it was hard to keep reading for me. However, the actual storyline kept me going so I kept reading and by the time I reached page seventy of the book, I knew that I was going to finish it and by that time, I got accustomed to the author's writing style. The story is brilliant and there were some parts I had to pause and watch something funny so that I could distract myself from the scary scenes which are in this book. I would say it was one of the scariest reads I have braved to read but it has really persuaded me to continue reading scary stories. I thought the characters were brilliantly described and you could really relate to Jakob and how hard it is being a hangman. I think this was because Oliver did so much research into his relative's life that it made the characters stand out. I'm giving this book a four star rating. It would have been five if I had liked the writing style more but apart from that it is a brilliant read and a really unique story so if you're in need of a book that gives you goosebumps or a book unlike no other, then this is the book for you! This book was reviewed by regular reviewer, Lucy, get to know her here! BB: For those who aren't already following 'Lulu Frances Books' could you tell us a little bit about the girl behind the blog & how you became a book blogger? BB: What is your favourite thing about being a book blogger? BB: Back in January you took part in our collaborative post all about our 2013 reading goals, how are you getting on with reaching your targets? have you managed to cross off any of the 5 books you vowed to read? I said I wanted to read 75 books this year and I'm currently reading book number 28 and goodreads tells me I'm about 4% ahead of my goal, so that's going rather well. I actually also managed to read three of the books but have unfortunately not yet read Insurgent (I KNOW!!) and The Luxe (I said I'd review that on here - don't worry, as soon as I've read it I will!). BB: As a big film fan myself I have to ask; you recently posted about the Catching Fire teaser trailer, which parts of the story are you most looking forward to seeing come to life on screen? Ahhhh Catching Fire!!!! I'm so glad the film/ trailers are not a letdown compared to the books! I can't wait to see Sam Claflin as Finnick and I am also very curious about the arena, especially the "blood" rain and the crazy monkeys, wonder how that will be like. BB: Here at BB we're always looking for recommendations which 3 books would you suggest that we need to pick up now? Woah that is difficult. The book I'm reading right now - Darc Canopy - is amazing but unfortunately only in German so far... The Awaken series (by Katie Kacvinsky) deserves more recognition, great dystopian! And I recently finished This Is What Happy Looks Like which is incredibly sweet. BB: Just for fun; If you could invite 5 famous characters to a dinner party who would you choose and why? Well I'd say Lola from Lola and the Boy Next Door, because her style was so inspiring, Jack from Blood Red Road because he is one of my book boyfriends haha and Katniss and Peeta, because - who wouldn't?! And maybe Holden Caulfield, he is hilarious. But this list is likely to change whenever you ask me so this is just who I feel like inviting now. BB: Last question, which other book blogs or YouTube channels would you recommend to our readers? You really want to get me started? Okay, I'll recommend only English speaking/writing blogs and channels because I think the majority of your readers understands that (but if anyone wants German blog recs - ask me!). I love www.perpetualpageturner.com, Jamie's blog is probably one of my all-time favs! And the girls from www.titlesandteacups.blogspot.com have a unique reviewing style that is fun to read. My fav youtube channels are bookables (you featured her here already - yay! ), bookratmisty, jessethereader, polandbananabooks, katytastic, padfootandprongs...yeah all the famous ones basically. I also like bookreviewer21 who started the unread books tag! I'd like to say a huge thank you from all of us here at BB to Lulu for taking part in this interview. If you are a booktuber or book blogger and would like to be featured in a similar post we'd love to hear from you - just email us at bloggersbookshelf@gmail.com for information! 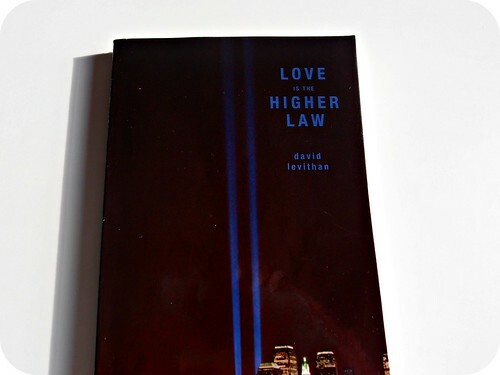 Love is the Higher Law is a novel about three teenagers in New York City and their reactions and feelings about the well-known events of 9/11. We get to know what they do, how they react, and how they feel during the events that day. But we also get to follow them during the year to come after 9/11. The novel is a story about these three teenagers and how they by coincidence gets drawn info each others lives by the tragedy that is 9/11. But it's also a story about a city and it's people and how they together do their best to heal after a tragedy they could never have imagined. Love is the Higher Law is a pretty short novel with it's 176 pages and therefore a fast read. Short novels usually leaves me wanting more. They tend to make me feel like I've missed something or like I don't get to see the whole picture. That's not the case with Love is the Higher Law. Of course I want more in the sense that I really enjoyed the book, but I mostly felt content and satisfied with the reading experience when I was done. I didn't need to know more, I just got the information that was important to this story and that was a pretty refreshing. As a Swede I might not have the same perspective to the events of 9/11 as I might have had if I was an american. But I do remember that day and exactly what I was doing when I first got the news. So I thought it was interesting to read about that day from a new yorkers perspective. Most of all I liked that the book wasn't specifically about 9/11 and what happened that day. It was about three teenagers and how the events affected their feelings and their lives. I really enjoyed reading Love is the Higher Law. 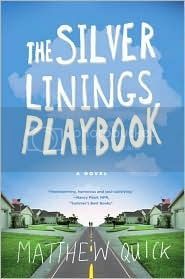 This was the first book I read by David Levithan and I truly liked his writing style. I also felt like the story and the people in this book felt believable and honest. I think I got a pretty good picture of how people in New York City were feeling the days, weeks and months after 9/11. The only thing that I might have an opinion about is that I felt like the story about the female character Claire didn't feel as strong or as the two other stories. But it might just be me and the lack of chemistry between me and Claire. This is not the kind of book I usually pick up but I saw it in my local library and got interested because I've heard a lot of good thing about David Levithan and his novels and after reading it I'm pretty sure I'm going to read a few of his other books in the future. So I do recommend everyone to pick this book up, it's a pretty short and fast read and there's a high chance that you might really enjoy it. I give Love is the Higher Law 4/5 stars! This post was written by regular reviewer Niina, get to know her here. Pat Peoples believes everything will work out in the end, he believes that his life is like one of those feel good movies that always have a happy ending. So as he embarks on a journey to get back with his wife Nikki back after spending a lengthy stretch in a mental health facility, nobody wants to let Pat find out the truth. The truth which doesn't look like it has any silver lining. But then Pat meets Tiffany, a young lady who has struggles with everything life has thrown at her lately. Their friendship grows and the real truth starts to reveal itself. This is not one of those books that I would have immediately picked up in a book store. However after watching the film I was convinced that I needed to read the book. I’m glad I did especially as the book gives so much more detail about the characters – which are the most interesting part of this book. The way the book tackles the serious issues, shows how these characters interact or close themselves off are what kept me reading and enjoying every page. If I had not watched the film first (big mistake I know – I should of known better) I think I would have really enjoyed rediscovering Pat’s old life with him and being taken on that journey. Hidden elements of his past are slowly revealed to us and it really allows the reader to play the guessing game. I would of enjoyed trying to work it all out before Pat did (The competitive side of me would of reared its ugly head). If I could pick out one aspect of this book which I found frustrating it would be all the details of the classic novels that Pat reads. Now don’t get me wrong I love how they have included these books and that he is reading them – but some of them I haven’t read and now I don’t feel I need to as the plots have already been revealed to me in quite some detail. I would definitely recommend this book, especially if you like to read something a little different every now and then. This post was written by regular reviewer Laura, get to know her here. Of Kings and Queens is a novelette written by Suneeta Misra. Set in India, it follows Ram, a young teenage boy, and his friendship with Maya. Ram is the only son and heir to the King of Mirpur; Maya is the granddaughter of his tutor. When Ram’s teacher has an accident and can no longer travel to Ram for lessons, Ram goes to him, but is surprised to find that Maya will be the one teaching him. Although she is only a few years older than he is, she knows her stuff. As their lessons progress, so does their friendship. When Ram’s life is threatened by his own family, he stays with Maya and her grandfather until he is well again. From there, knowing that he cannot go back home, his maternal grandmother arrives and he travels with her to England, where he then stays. The story then jumps ahead a few years, and now Ram has a law degree and a fiancé in England, having left his old life behind. Or so he thinks. He receives word that his father, back in India, has died and that he was the only heir to throne, despite his father having had a bunch of other children – all girls. Ram, some-what reluctantly, returns to India with his new fiancé, and tries to pick up the pieces of his father’s terrible reign. While in India, memories return of the time he spent with Maya in her grandfather’s house, and he goes searching for her. His feelings towards his fiancé start to waver and unfurl when he sees Maya again, realizing that he has actually loved her for a long while. The novelette is written in third person, but in present progressive tense (I think?) which made for some interesting reading. It’s not really a tense that I enjoy, but I think for the most part, it worked for this story. It was very descriptive at the beginning, letting the reader know a little of the background and of the situation; setting the scene, I guess, though I found this a little forward and too full of simple facts that I think I would have enjoyed more if they were subtly added throughout the story. However, it was a very easy to read and was a great look into some Indian culture, and Indian-British relations in those days. The impact of the twist at the end would have been more shocking if I hadn’t seen it coming, but I think that’s because I read too many books, and am always looking and guessing at what twist could be thrown in the mix. Overall, I did really enjoy this story. The writing itself was very nicely done, and I loved some of the phrases and language used. The characters were great and it had a good amount of mystery and crazy family members in it to make it a story I’m going to remember. c/o - This novellete was sent to me by the author, Suneeta Misra, and the review was written at her request. However, like all my reviews, it has not been influenced in anyway, and it is 100% honest. This review was written by regular reviewer Anjali, get to know her here. Lucy also shared her experiences of taking part in World Book Night and Anjali also recaps her time at the Quicksilver book launch. 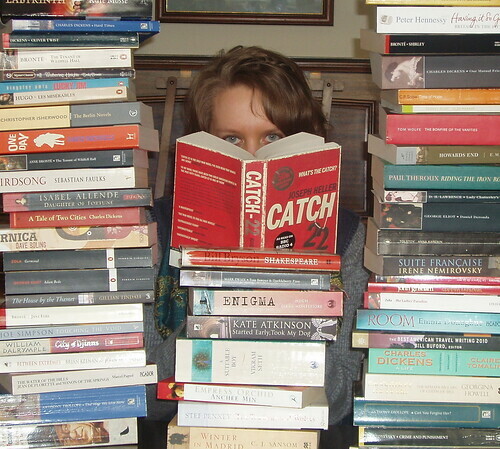 Laura from The Book Habitat was also the latest interviewee in our ‘Being A Book Blogger’ series. Our contributors also got debating again in May’s Group Collaboration Post, discussing whether we should judge books by their covers? Share your own opinions in the comments! And don’t forget to get involved in our next Group Collaboration topic. Let us know you opinions by email, tweet us or on our GoodReads page! 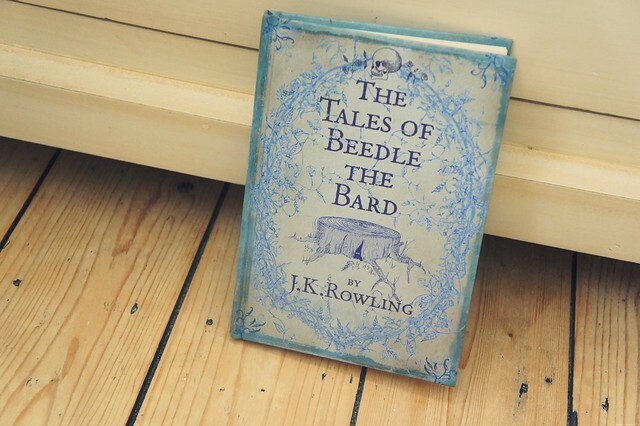 This little book consists of five short fairytale style stories from the wizarding world created by J. K. Rowling. Each story is followed up by additional notes from Professor Dumbledore himself, who explains the morals found in each one and discusses the controversy some of them caused within the wizarding world. Through Dumbledore’s commentary we also get to learn a little bit more about magical terms, history and life at Hogwarts. My favourite of the five stories would have to be the one I already knew well, The Tale Of The Three Brothers, which was beautifully depicted through animation in The Deathly Hallows film adaptation (part one). I also really enjoyed learning about Babbity Rabbity And Her Cackling Stump, a tale noted for one of the earliest literary mentions of an Animagus and The Fountain Of Fair Fortune which promotes pro wizard-Muggle marriage. As well as the variety of stories the book is also beautifully designed with illustrations, also by Rowling, interspersed throughout adding that extra magical fairytale feel. So Yesterday is the modern day story of Hunter Braque a 'cool-hunter' working in the middle of consumer hot spot, New York City, for a big advertising agency. His job is to seek out the most up to the minute and emerging trends, report back to the big dogs at the agency where they’ll make some money out of these so called products of cool. His unusual job leads him to meet Jen. Jen’s an 'innovator'. She’s someone who doesn't follow trends but makes them and a free spirit. Hunter decides on a whim to bring Jen along to a ‘cool-tasting’ (to view an big brand client’s advert before it’s release to the public), to meet the rest of the cool-hunters and his big boss Mandy. Jen ruffles a few feathers in the pack with her trend-setting views but Mandy takes a shine to her. She invites Jen and Hunter to a secret meeting with a big name client…only Mandy never turns up. After some initial detective work the two undercover Mandy’s abandoned cell phone in the run-down building they were supposed to meet her by. Jen and Hunter are then thrown headfirst into the underground world of oddly hypnotic products, shady henchmen, mysterious marketing conspiracies and unexpected danger. I did really enjoyed this, having picked it on a whim on my Kindle. The story was fast paced with cliffhanger chapters and plot twists galore. It explores themes of consumerism, fads and conformity with a mafia-esque twist. The story itself and it’s messages fall within Westerfeld’s typical line of work on individualism vs mass consumption and as someone who wants to work in this line of work one day, his take on the advertising world was really interesting. Hunter is your typical lonely-boy protagonist, he was unpopular at school and fits well as an observer of cool rather than someone who is cool. Jen on the other hand is a bit of a flight-risk and it’s almost unbelievable that Hunter goes along with her schemes to find Mandy. The characters themselves were what drove the plot, which in itself was a little confusing at times and then ending left me a bit let down. All in all a good light read and an intriguing plot that Westerfeld’s fans will enjoy. For lovers of…Westerfeld’s ‘Uglies’ series, consumerism critique and the odd world of advertising. This book was reviewed by regular reviewer Ria, get to know more about her here! 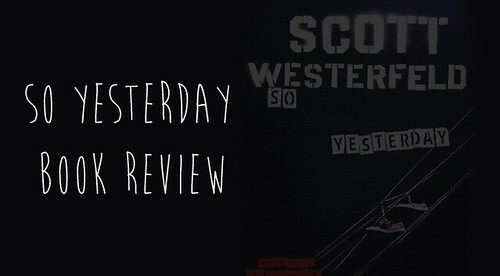 The Name of the Wind | Patrick Rothfuss | Reviewed by Lucy. "My name is Kvothe. You may have heard of me." If you're into fantasy books and tales of magic, you could not pick up a better book. This story is a story within a story. Kote is the owner of the Waystone Inn. At first glance, he's just a normal bartender. But there is so much more to this man than meets the eye. When Chronicler, a man dedicated to writing people's life stories turns up at the door, he sees that Kote is actually Kvothe (pronounced "Quothe"), a mighty sorcerer. Chronicler manages to get Kvothe to tell the story of his life. As we go through the story we learn of the hardships which Kvothe has put up with from his childhood as well as his amazing adventures including going to University at a younger age than most people are allowed in and learning the Name of the Wind. I really really liked this book despite the fact it took me about a month to read as its about 662 pages. It is the first book in "The Kingkiller Chronicles" and it is believed that there is going to be three books in the series but I believe there will be more as I've read the sequel (The Wise Man's Fear). If you know anyone who is into this series, you will know how annoyed they are as the third one will not be released for quite some time. I love the story because it is has so much adventure to it. There are so many amazing elements to this book, it has romance, it has instruments, it has poverty, it has....red hair. There is just so much in this book which reminds me of a true fairytale and I think if you are interested in those sorts of stories then you will really enjoy this. As I've said before in previous reviews, I love seeing different author's views on magic or how they interpret it in their books and I think there was a lot of imagination put towards this element of the book, not to mention all of the amazing detail that is shown in this book. I really wanted to jump into this world as it's just filled with fantasy. The characters in this book are just amazing as well and brilliantly described. But I have some slight problems. There were some parts of the book which I really didn't think were necessary. Some parts were just really slow and I had a hard time getting through it at some point. I could very well have stopped reading the book at some points but I was determined to persevere with it and I am glad I did. I do have some more problems with the second book for reasons I won't go into because I'll just turn this review into a rant storm. But those were my only problems with this book in particular. I will give Name of The Wind a four and a half star rating because it was a really great story and I'm interested in reading the series again before the third one comes out (whenever that will be.) I definitely recommend it to people who are really interested in fantasy books and are wanting to jump into an epic and gripping story. This book was reviewed by regular reviewer Lucy, get to know more about her here! Group Collaboration | Should We Judge Books By Thier Covers? 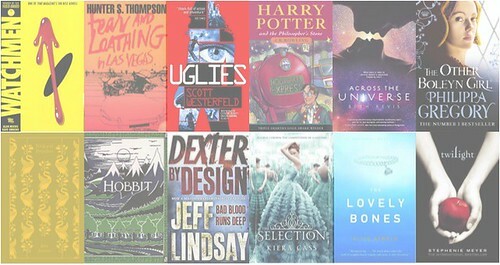 This month we're talking book covers and we asked you to send us your opinions on all things covers - Do they affect your book-buying decisions?, How do you feel about movie covers or cover changes halfway through a series?, How important is the cover design in the marketing of a book? P.S Don't forget to leave us a comment letting us know your opinion on the subject! Somewhere, sometime in a dystopian or post-apocalyptic world Aria lives in a safe and protected life inside a dome. She's happy and content with her life inside the dome until one day when her mother goes missing. While searching for her mother But in this dangerous place she gets help from a outsider called Perry,who's also searching for someone he has lost. So , I thought the story-line was a bit different and I kind of enjoyed the love story. What else? I guess you've guessed that I mostly enjoyed Under the Never Sky. I thought it was a fun and well-written dystopian YA novel and I liked the character development. But the problem for me was that it took me ages to get through this book! I'm not quite sure why! Help me! I seriously don't know why!? My first thought was to give this book 3 stars because it was a good book but it took me millions of years to read!. But then I thought about it again and thought that there was really no obvious reason for me not to really like it. And to be honest, I did! I think there was something missing to make it perfect but it was overall good enough to deserve 4 stars/5 stars. 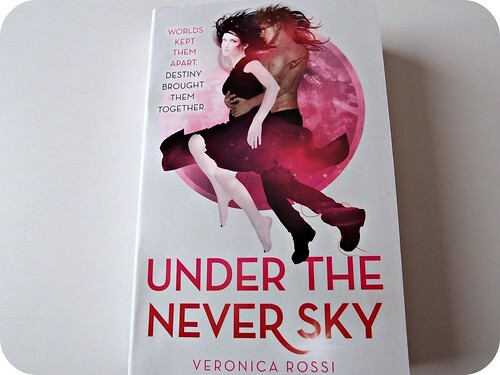 Under the Never Sky is definitively a good dystopian/post-apocalyptic read! Becky Jordon is giving up on men, she’s had enough of bad relationships and has decided to stop choosing Mr Wrong and concentrate on her career. Luckily it’s currently on the up as she has landed her dream job, she is determined to make this her soul focus – that is until she can’t stop thinking about her gorgeous, steamy and determined boss. Oh dear…. Becky Jordon is an instantly like-able character, who manages to get herself into some of the strangest (and rather amusing) situations. She is the first reason I got carried away reading this book, she’s young, energetic and strong (unless her sizzling-hot boss is around). I had an instant liking for her and was one hundred percent behind her new ‘no men’ lifestyle change (that was until I decided she HAD to get with her boss or I might through the book across the book). The story line follows the traditional chic-lit plot; fall for a guy, things go up the shoot, you desperately hope they get back together again and then… I won’t give it away!. This is second reason why I couldn't put this book down. The plot is pacey, a little unpredictable and leaves you desperate to find out what is going to happen next. If I could however find one fault with this book, for me, it was that the end seemed a little rushed. We merrily going along with the story like then suddenly wam bam it’s ended and over. I felt like I'd only just finished the middle and suddenly there were not more pages left. That one little fault however did not stop me from reading this book in 2 days (Yes 2 days! ), 2 extremely late night’s mid-week and 2 very hazy days at work. I was completely hooked and completely swept away with the how story. 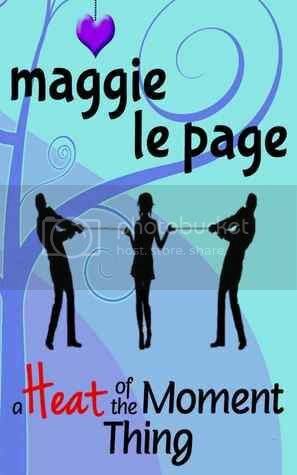 Maggie Le Page has certainly set the bar high for her first book. 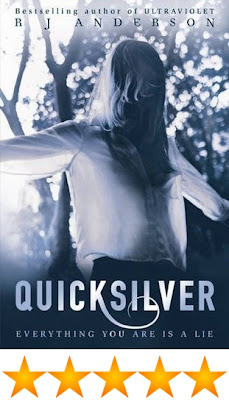 Yesterday I posted a review of RJ Anderson's book, Quicksilver. I also mentioned that I went to the book launch for it, and that I was going to tell you all about! So here we go! Have you ever been to a book launch? I hadn’t. I didn’t really know what to expect other than books…and the author being there. But it was really nice! It was on Tuesday 23rd, in Oxford, England (which is only about an hour or so from where I live), and that was perfect because my mum was making the trip there that evening anyway. I was a few minutes late, after missing one of the buses where Mum dropped me off, but not by too much. When I snuck in the book store (Waterstones), I grabbed a seat at the back of a group of about 10-15 people and hoped I hadn't missed out on too much. I hadn't. Anderson was just talking a little about Ultraviolet, reminding us, I guess, what had happened in that book. She then introduced Quicksilver, giving a brief description of what it was about, and then read a short excerpt from one of the first couple of chapters. It was really cool to hear her read from her own story, no mistakes or slip ups (as would have happened if I were reading anything aloud), and it was nice to actually be read to. I know that sounds silly, and like I should be a 2 year old being read Where’s Spot? or something, but there’s just something nice about not having to think, and only listen. I guess you get that with audio books, though I've never listened to them. After she read for a little while, she answered some questions from the audience. It was really cool to hear how she went about writing her stories. One of the questions asked was something along the lines of ‘Do you have the entire plot thought out, or do you just go with the flow and see what happens?’. To this she answered (something along the lines of) that before she started writing Quicksilver, she had the title in her head already. She had no idea what Quicksilver meant, nor what it was or what it was going to be, but she knew that that was the title. She also said that she knew that she wanted to tell the story from Tori’s perspective (the main character of Quicksilver), rather than stay with Alison (the main character in Ultraviolet, the book previous), because she felt that Alison’s story had already been told. When I went to the book launch, I didn't actually realize that Quicksilver wasn't really about Alison, so when I heard this I was a little taken a back. I guess I hadn't thought that it wouldn't be from Alison’s perspective, but, as I mentioned in the review yesterday, after a page or two into Quicksilver, I realised that I didn't mind that it wasn't a continuation of Alison’s part of the story – it was time to hear from someone else. I'm pretty sure she also said (though don’t quote me on this! R.J., if you’re reading this, please confirm!) that while writing Quicksilver she didn't have the whole plot outlined, that she had some idea of where things were headed, but more went with the flow of things. Being someone who likes to write, and have had tried to write novel-length stories (I'm getting there), it was really interesting to hear a little bit about how a real live published author went about writing a book, and their thoughts, ideas and processes that went with it. Very cool. There were a few more questions asked, but to be honest I can’t remember them. That was the one that stuck out to me the most. After answering questions, she thanked us all for coming, and then signed books. I introduced myself, we had a quick ‘it’s a pleasure to meet you’ and then I had to rush off to make sure I didn’t miss the bus again and then miss my Mum and get stranded in Oxford. But if you have the chance to go to a book launch, I highly recommend it. It was a great opportunity, not only to get a sign copy of the book (yay! ), but also to put a real live face behind the words I had been reading and the story that I loved. Go to a book launch. You won’t regret it. This was written by regular reviewer Anjali, get to know her here. Two weeks ago I posted about a book called Ultraviolet, by R.J. Anderson. I also mentioned how I had a Twitter conversation with the author, and ended up going to the book launch of the sequel, Quicksilver. So! With that in mind, today’s post is a review of Quicksilver, and then tomorrow I'll be letting you know how the book launch went. Sound okay? If you remember back to when I wrote about Ultraviolet, I raved about how awesome it was. It really was amazing. Quicksilver was just as good! I absolutely loved them both. 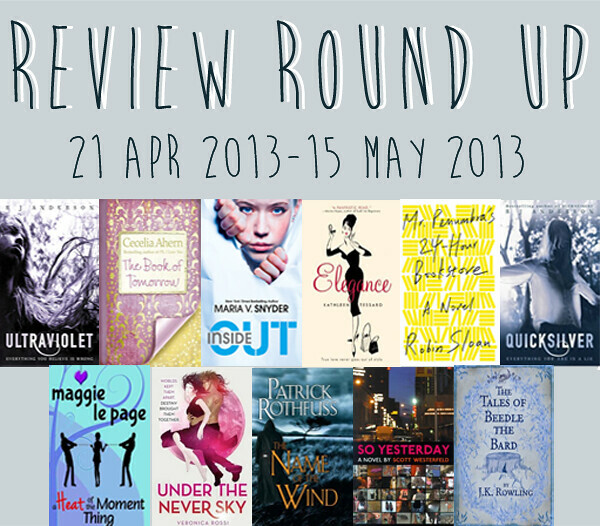 If you haven’t read the review I did of Ultraviolet, do go and have a read before you keep reading this. That will give you a little background into this one. In Ultraviolet, the main character is Alison, a girl with synaesthesia who believes that she killed a classmate of hers called Tori Beaugrand. It turns out she didn’t…and Quicksilver is Tori’s story. 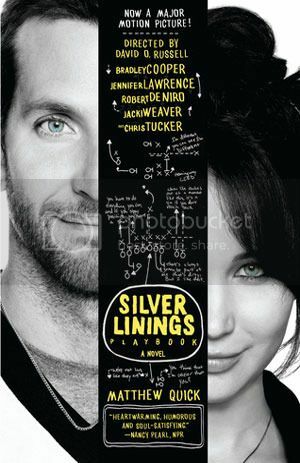 The novel takes place a few months after the events of Ultraviolet. Alison is still in their home town of Sudbury, Sebastian Faraday (the leading man in Ultraviolet) is nowhere to be seen, and Tori and her parents have moved across the country and have changed their names. Now ‘Nikki’, Tori is trying to lead a normal life, devoid of aliens and freaky space hoo-haa; just a teenage girl working at a supermarket and trying to finish school. But what kind of story would this be, if that was all that happened? It was interesting to read of the same characters as before, in Ultraviolet, but looking through the eyes of someone different. I really, really liked Alison's story because she was a synaesthetic - the language and the descriptions of the things that she experiences were really amazing and beautifully written. But after reading a little bit of Tori's voice and her perspective, I realised that I didn't actually mind that it wasn't full of these great sensory descriptions. It wasn't about Alison, after all it was about Tori, and she was a completely different character. If you haven’t read Ultraviolet, read it. And make sure you read Quicksilver afterwards. Both are great books, and although they are labelled ‘teen’, they aren't all sappy and full of the usual teenage drama that you get in a lot of teen novels, and I think that that’s one of the reasons I love these books so much. That and they’re subtly about aliens…duh. BB: For those who don't already follow The Book Habit could you tell us a little bit about yourself? 1. Vinyls and my monstrous record player. I am so behind the times it’s ridiculous. 2. Shakespeare. I have a Hamlet quote written on my living room wall. No lie. 3. Marmite. Because I like to be controversial. The Book Habit was started as a step onwards from my somewhat bizarre addiction to writing book reviews in an old notebook. The blog is an eclectic mix of reviews, literary lifestyle posts, and my general ramblings. I created it hoping to guide other readers to books that might interest them (both old and new), while also chronicling my addiction to all things bookish. BB: As well as writing reviews you also have an interesting series of posts named 'Literary Excursions', could you tell us a little bit more about how you came up with this idea? I have always been fortunate to have people around me (family and friends) who are happy to indulge my literary addiction. Being lucky enough to live just outside of London, I have a huge number of literary hotspots within an easy distance and spend quite a lot of my free days taking myself off on a variety of adventures. The ‘Literary Excursions’ series was created to show readers just how many opportunities there are to explore the worlds inhabited by favourite authors. As a book addict, I absolutely love to walk in the footsteps of writers. It is, I think, the best way to get a feel for what inspired them. BB: We're always looking for new books for our TBR piles - which 3 books or series would you recommend our readers pick up? Oh my goodness, narrowing down to three is tough! I’m going to give you a couple of newish reads and one old favourite. 1. Mr. Penumbra’s 24-Hour Bookstore by Robin Sloan. One of my absolute favourite recent reads and one of my first blog reviews. A complete treasure, truly unique, and a real must read! 2. The Eyre Affair by Jasper Fforde. This one is actually on the list for World Book Night UK and is definitely a book for the fiction fan. Clever and hilarious, there really isn’t any other book quite like it. 3. The House of the Spirits by Isabel Allende. While I would be hard-pressed to decide on an all-time favourite novel, this one would probably beat out other choices. Beautiful and tragic, it is magical on every level. BB: Now for a couple of fun questions.... If you could invite 5 fictional characters to a dinner party who would you choose and why? 1. Professor Dumbledore (‘Harry Potter’ series by J.K. Rowling) – I don’t know that this requires lengthy explanation to anyone who has similarly manic levels of love for the Harry Potter series. Mostly I just love the beard though. 2. Celia Bowen (‘The Night Circus’ by Erin Morgenstern) – One might think that, with Professor Dumbledore present, I wouldn’t need the Cirque des Rêves’ great illusionist. But who wouldn’t want to see those two face-off as some light dinner entertainment? 3. Hamlet (‘Hamlet’ by William Shakespeare) – for the laughs. 4. Willy Wonka (‘Charlie and the Chocolate Factory’ by Roald Dahl) – Because he would bring dessert. 5. Mr. Darcy (‘Pride and Prejudice’ by Jane Austen) – Again, no explanation required (particularly if you already follow my blog and have picked up the excessive number of Colin Firth shout-outs). Needless to say, it is likely a jug of water would find itself accidently spilled all over this particular guest as the evening progressed. I recognise that my guest list is fairly male-dominated. Mostly purposeful given the presence of one Mr. D. However, with J.K. Rowling’s revelations about Dumbledore’s love interests, I realise that his invite may be a bit of a risk to my scheme. BB: If you could live in any fictional world which one would you choose? Ah that’s really tough. Mostly because I’m worried that saying Willy Wonka’s Chocolate Factory will make me look excessively greedy. So instead I will say that I would love to live in the Cirque des Rêves (‘The Night Circus’ by Erin Morgenstern). Truly the most fantastic place I have had the pleasure of escaping to through my literary addiction! Although some way of combining the two with a sort of chocolate circus would obviously be ideal. BB: Last but not least, which fellow book blogs would you recommend to our readers? I really love About Happy Books (www.abouthappybooks.com) - a seriously eclectic mix of book reviews. As someone with extremely diverse taste in genres, it is a great source of information! I’m also a big fan of the ladies over at Literary Hoarders (www.literaryhoarders.wordpress.com). They write some fantastic reviews that I’ve always found really helpful in picking out new reads. I'd like to say a huge thank you from all of us here at BB to Laura for taking part in this interview. Mr Penumbra’s 24-Hour Bookstore follows Clay Jannon, a young unemployed web-designer living in San Francisco who stumbles upon a job working the night shift at a quirky 24-hour bookstore. Clay quickly discovers that there is something different about Mr Penumbra’s store, the customers are sparse and those who do visit never seem to buy any books. Instead they use the store like a library ‘checking-out’ all sorts of unusual books with their membership cards. With a little research Clay discovers that they are all part of a secret society with an intriguing code to crack and begins roping in his friends to help him figure out what is really going on. As a narrator Clay told his story with humour and a likability that really made me invest in the mystery of the bookstore and the adventure, or rather quest, that followed. He is joined along the way by a host of likable secondary characters including Google employee Kat, prop creator Mat and of course Mr Penumbra himself. The interactions between Clay and Mr Penumbra were probably the most interesting as initially there was a great contrast between the modern and traditional ways of problem solving. It was nice to see as the book progressed how these ideas could come together and prove that there is a place for both technology and tradition in the modern world. The book is set out in three parts, separated by the different locations, followed by a short epilogue. Within theses parts there are smaller chapters so although I would consider this book a quick read it is also easy to read at a slower pace if that is what you prefer. Sloan’s writing style flowed well with humour throughout and was very easy to follow.